Finding the right environment for your short-term rehabilitation can be a little confounding. Even if your surgeon or insurance provider favors one possibility, you know the center needs to be an ideal fit in order for a successful recovery. Weighing your options takes time, but it may be the best approach. Unfortunately, interviewing possible short term rehab facilities isn’t always possible. Sudden injury, illness, or accident, possibly requiring emergency surgery, can prevent you from doing you due diligence. You know you need the services of a group of professional rehabilitation therapists to help you achieve your maximum capacity and enable you to return to your home, work, and community in the shortest amount of time. Finding the right team for your recovery can be daunting. But, medically, feeling in tune with your physical therapists can make a tremendous difference in the outcome of your rehabilitation. How can you make sure your physical, emotional, and medical needs are met in the best possible way? Finding the right approach to short term rehab, especially if the need is relatively sudden, can make a big difference in your overall recovery. Before or immediately after discharge to a rehabilitation center, make sure to schedule a meeting with the care providers, rehab therapists, and a representative of the center’s administrative staff. You will have plenty of questions which run the gamut from the plan for required therapies – physical, cognitive, and occupational – to dining options, visiting hours, distribution of medication, and billing and insurance concerns. Remember, you are paying for these services. As the patient or family caregiver, you want to know as much about your loved one’s recovery and rehabilitation as possible. Also, by making yourself a familiar face with the staff, you can easily ask questions and express concerns whenever necessary. When you meet with your care and rehab team, ask for a timeline of recovery. Understand that the need may arise at some point to adjust the timeline in either direction, but you can begin making any necessary arrangements for your homecoming. Depending on the injury and how much mobility has been compromised, you may need to install a ramp, move a bedroom to the lower level, or arrange for assistance at home. 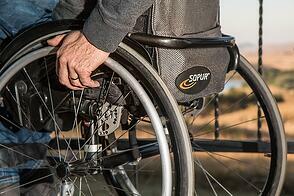 Once discharged from short term rehab services, many patients are required to continue physical therapy at home. Circumstances may arise over the course of your short term rehab services that could change the length of your stay. Interruptions to the initial recovery plan and timeline can happen. You may require "time off" due to illness, the therapist may need to alter the plan of recovery, and the like. Be prepared for these situations to arise before anything happens. Most insurers, including Medicare, will only approve a certain number of days for a patient to complete the rehabilitation. They will not "pause the clock" in most cases, and private pay can be expensive. The administrative personnel at your rehab center will be able to advise you as to your insurer’s stipulations in the event that you are unable to complete the course of rehab in the allotted time. Planning for short term rehab for yourself or a loved one can be overwhelming, even when you know in advance. By taking a methodical approach to rehabilitation services, be it post elective surgery or after an accident or illness, you can have the peace of mind that comes from knowing what to expect and planning accordingly. Then you can concentrate on the task at hand: your recovery.